Andrew Kohn, chair of the judges' panel for the 2018 ISB Research Competition, along with fellow judges Michael Greenberg (Paris, France) and Fiona Palmer (Dublin, Ireland), announce the winners of the 2018 competition. There were two divisions for Professionals and Students. The biennial competition is open to all researchers. Entries, submitted anonymously, are previously unpublished papers reflecting a high quality of scholarship in a wide variety of disciplines relevant to the double bass. Topics may be presented from any number of different perspectives or disciplines, such as historical musicology, classical or jazz performance practice, pedagogy, lutherie, iconography, biography and/or analysis, and may deal with subjects stemming from any period in the instrument's history up to the present. The grand prize is $500 for each division, publication in the ISB's Online Journal of Bass Research, and an invitation to present their research papers at the 2019 ISB Convention, to be held June 3rd-8th at Indiana University in Bloomington, Indiana. 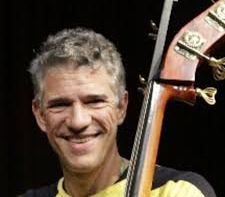 Fausto Borém is full professor at the Federal University of Minas Gerais, Brazil (UFMG), where he teaches double bass, chamber music and music research, and also created the graduate music program and the country's top scholarly journal Per Musi. He has premiered significant new double bass works in the U.S., Europe and Brazil, and edited and/or published dozens of double bass originals, transcriptions and scholarly articles on the instrument. He has won numerous awards in Brazil and abroad as a soloist, composer and theorist (www.lattes.cnpq.br). Fausto Borém leads "Musa Brasilis", an ensemble centered on the double bass, with theatrical elements. Guilherme Menezes Lage is a scientist at the School of Physical Education at the Federal University of Minas Gerais. He holds a doctorate in Motor Behavior. 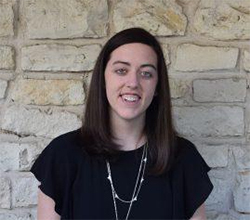 Sarah Lahasky is a PhD student in ethnomusicology and a member of the Portfolio Program in Museum Studies at the University of Texas at Austin. She received a bachelor's in double bass performance from Shenandoah University-Conservatory, and an master's in ethnomusicology at the University of Texas at Austin. Her research interests include heritage creation and cultural policy-making, especially concerning UNESCO's 2003 Convention for the Safeguarding of Intangible Cultural Heritage. She is a past Secretary-Treasurer for the Association of Graduate Ethnomusicology and Musicology Students, and for the Student Union Outreach Committee for the Society for Ethnomusicology.